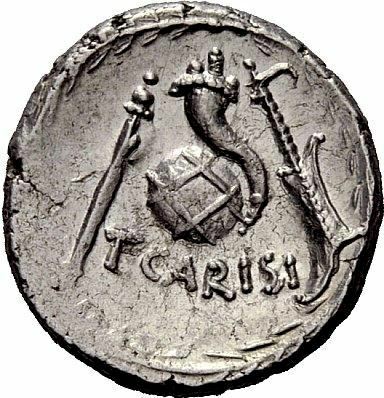 Titus Carisius was one of the moneyers for the year 46 BC. Carisius is possibly identical to the Carisius who defeated the Astures in Hispania in 25 BC, and took their chief town, Lancia. In consequence of his cruelty and insolence, the Astures took up arms again in 22.